Today Phase One released Capture One 12 with a mass of long-awaited features. The new Capture One 12 brings Luma Range Masking, Radial gradient (finally!! ), reworked Linear gradient and publishing Plug-ins. Ok, begin downloading Capture One 12, grab something nice to drink and get yourself comfortable. We’re heading to inspect Capture One Pro 12’s new features in all their detailed glory! Capture One developers called the new interface “super flat” and yes, can confirm, it’s flat. Kind of super, if you wish. Most importantly – it feels remarkably good, a bit unhabitual at first, but things are always changing, you know. The idea behind the new interface is to make Capture One easier to use over long editing sessions and that’s a great goal for sure. I have spent dozens of hours in Capture One 12 beta and the new UI felt nice and comfortable. What I really love, is that font sizes and cursors have been made larger; it’s a thing I have longed for. Another significant update of Capture One 12 interface is the new upper Menu System. The menu was completely reorganized, Mac users will be surprised to find “Edit Keyboard Shortcuts” in the Edit tab now. In general, it has become easier to navigate the menu as well as to find a specific option. Plus, developers have added two new sections, Layer and Select, for a quick access to these features. Layers tool has also been a bit redesigned, now you can quickly change the type of selected layer: Adjustment, Clone or Heal. Ok, enough about design, let’s head to the editing. Did I hear somebody mention “Radial gradient” here? Ok now, Radial Gradient is finally here and it’s awesome! Radial Gradient is really useful when you need to quickly draw a smooth mask and to leave some area untouched. Now I can add some adjustments to the mask or apply one of the new Portrait Styles. You can control gradient smoothness by moving the internal circle of the radial mask. And if you wish to change the shape of the gradient, just hold the Alt and move one of the anchor points. By default, the radial gradient is filled outside, but you can easily toggle filling by clicking a right mouse button and choosing Draw Mask Inside. Note, that you need to draw a new mask to apply settings, this option doesn’t invert the existing gradient. To invert the gradient, you can just use “Invert Mask” feature. The classic Linear gradient was significantly reworked in Capture One 12. If you have been working in Capture One for years, reworked Linear gradient might look a bit uncustomary. But that’s just a necessary improvement. The new Linear gradient works faster, better and more intuitive, especially for former Lightroom users. Don’t worry, it’s all here. You still can modify gradients as regular masks. The only difference is that in Capture One 12 you firstly need to rasterize the gradient mask. Basically, by rasterizing the gradient, you create a regular mask which can be edited and refined. To rasterize mask just right click on the layer with gradient and choose Rasterize Mask. Here I have created a gradient and refined it to fit the image more accurately. Also, I highly recommend you to assign a shortcut for Rasterize Mask as well as for Refine Mask, Invert Mask and other basic Layer actions. 3. Where Do I Get The New Portrait Styles? Portrait Styles is the new development of 1Styles.pro, which is well known for two sets of Film Styles for Capture One. Portrait Styles is a set of 50 color styles designed specifically for portrait editing in Capture One. The styles were adjusted for portrait photography specifics and were tested and approved on hundreds of different portraits. The new set is quite different from Film Styles. If you have found that some of the Film Styles are too strong for your images, especially for portraits, try the new Portrait Styles. Find out how Portrait Styles can improve your workflow. Luma Range Masking is another great novelty of Capture One 12. It allows you to create a mask based on selected brightness values. To start working with Luma Range mask, you need to draw a mask or just create a new filled layer. The point is that Luma Range Mask doesn’t create a new mask, but transforms the one which already exists. First of all, you need to create a new filled layer. You can draw any other mask as well, but since we need to apply Luma Range to the whole image, it’s easier to start with a new filled layer. To work with Luma Range masking, select a layer and click Luma Range button; you can also assign a shortcut for this. Here you determine how Luma Range tool transforms your current mask. By moving the sliders, you can set the brightness of pixels which will be included in the mask. Top black and white sliders restrict the mask to the specific brightness range. 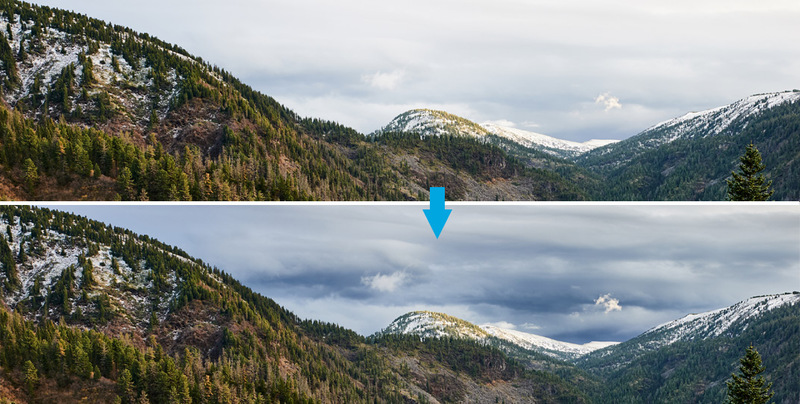 Bottom sliders are responsible for Falloff – a useful tool to control mask opacity transitions. You can also correct the accuracy of the mask with Radius and Sensitivity sliders or invert the selected range by clicking Invert Range. For this image, I’ve masked only highlighted areas and quickly applied some Exposure, Levels, and Color Balance corrections. Luma Range works perfectly when you need to mask specifically dark or bright areas on your image. Looks great, but let’s find some real challenge for Luma Range Masking. First of all, we’re creating a Luma mask for highlighted areas and refining it. Now we need a mask for shadows, the easiest way to create it is to copy mask from the first layer and invert it. Then we’re applying some basic exposure adjustments to both layers and adding a bit of Levels and color correction magic and… here we go! And you know what? That’s not all the features of Luma Range! Luma Range re-invents Levels correction! Yes-yes! Just answer me: what is the biggest issue with Levels correction? Right! You have to be really careful with Levels, otherwise, you will lose data! Like this image; I’ve applied a strong Levels correction, everything looks good, but I’ve lost lots of information in shadows. The only thing you need to do is to apply Levels to a filled layer and remove dark areas from Luma Range! 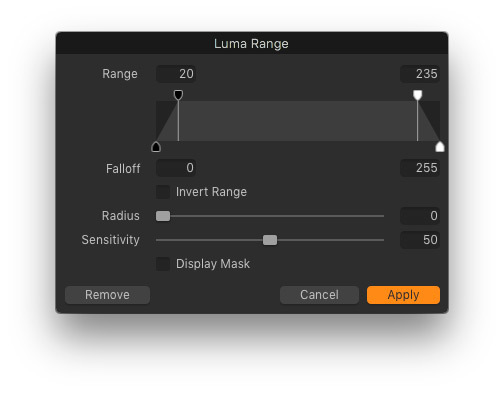 This way Luma Range automatically restricts Levels tool from affecting deep shadows. Now, we have got a perfectly balanced image with great color and detailed shadows. Ok, Capture One 12, now I’m really impressed! BTW, don’t forget to upgrade you file engine in Base Characteristics. Otherwise, you would not be able to use all the features of Capture One 12. The next big thing in Capture One 12 is the new Plug-in platform. Capture One community was eagerly awaiting Plug-in support all these recent years and now we can see the first changes here. Capture One 12 offers Publishing Plug-ins, which allow you to publish your images to different services right from Capture One. To use Publishing Plug-ins you need to right click on an image, chose Publish and select Get Plugins. You’ll be redirected to a page at PhaseOne.com, where you’ll find all the available plugins. Of course, we all wish to see some other types of plugins: for retouching or HDR creation. But I think that’s just a first step and there will be more new plugins available in the future. As of now, here you can find the Capture One SKD and start creating your own plugins! BTW, if you regularly use round-trip editing, in Capture One 12, Edit With and Open With tools have also been reworked. Now they support any applications and you just need to select one to add it to the quick access list. Yes! In Capture One 12 you can now apply the famous Fujifilm Film Simulations! As expected, you can’t use Film Simulations with non-Fuji RAWs, even if you would assign Fuji camera profile. Another important specific of Capture One engine is that Base Characteristics tool doesn’t support layers, so there is no way to apply Film Simulations locally as well. At the same time, such an approach has a significant advantage over styles/presets. Base Curve is not an “adjustment”, it doesn’t use any tools in Capture One. That’s why you have a complete freedom of editing your images. Fujifilm Film Simulations are available in all the versions of Capture One, including Fujifilm Express, Fujifilm Pro and a regular Pro. If you’re not familiar with Capture One Fujifilm, I’ve prepared for you a detailed guide, where you will find all the information on this special offer for Fujifilm photographers. Previously, cropping and other composition settings were automatically copied during copying/applying of image adjustments. That was a real headache for batch editing! There were some ways to turn it off, but all of them were not really convenient. In Capture One 12 you can set a custom preference for this. Just go to Adjustments Clipboard, click “…” icon and chose Autoselect -> Adjusted except Composition. Capture One allows you to customize almost all the shortcuts and I highly recommend you to do so. In Capture One 12 developers have restructured the Keyboard Shortcut Manager and added a search bar for faster navigation in the hotkey list. Mac users – don’t forget that the Keyboard Shortcut Manager is now located in the Edit tab! For Sony and Fujifilm camera owners, Capture One offers free Express versions. It has all the basic functionality for RAW editing and is absolutely free. Just download it and start working. No activation is required. Capture One 12 is one of the user-friendliest upgrades of Capture One ever. Developers implemented lots of long-awaited features for loyal Capture One users and reworked some classical tools to make them more understandable for the new to Capture One photographers. I think Phase One is heading the right way. Capture One needs to fight for a market share by attracting new users. At the same time, developers never forget about photographers who have remained with them for years. In my work, I use 1Styles.pro styles. There are more than 250 styles which you can quickly scroll through and immediately see which would fit your image best.